the Bridge of the Americas, the Pacific entrance to the Panama Canal. 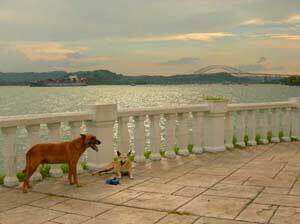 On the Panama City side of the Canal, a long promenade gives a spectacular view of the bridge, sailboats and ships. 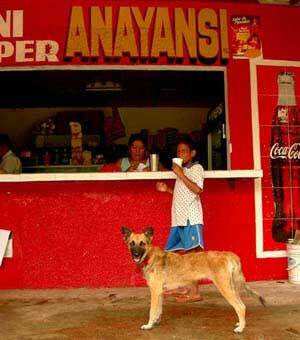 On the Vera Cruz side of the Canal, things are more rustic and community dogs roam freely. 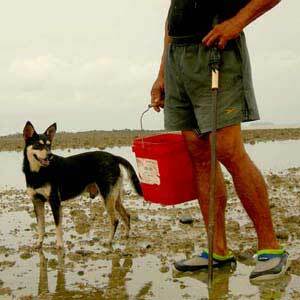 At low tide, water recedes and reveals a sand bar, rocks and crabs this man and his dog are catching for food. Going to market in small towns usually means the family dog trails a long, almost always off leash. This boy was buying supplies for his family. The day after I took this photo, the woman was robbed and now iron is welded over the windows. 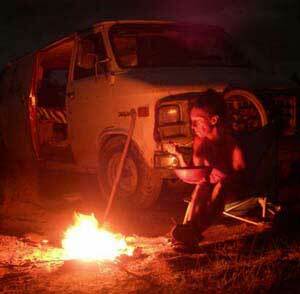 One of the few times thus far I've been able to make a fire and make baked potatoes, as it often rains in the late afternoon. Most of my cooking has been with a propane burner. I'm hoping that changes once we get to Colombia. 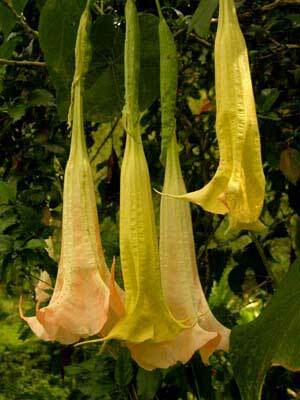 I've seen this flowering tree in Panama and in Kenya where it's classified as a weed. Any info about the genus would be appreciated! Another self-portrait. A bit cheesy, but... Isle Venado is just off-shore and as the tide rolls out a sand bank is revealed and you can walk to reach the island. 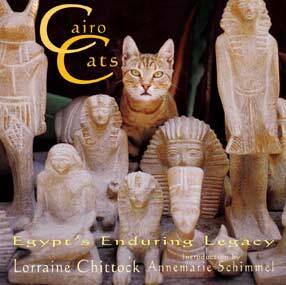 Because of a unique arrangement with the co-publisher of Cairo Cats, I'm able to sell copies via my own website for a larger profit than through Amazon or other sources. I've found a new printer for my photos, so along with cheaper costs and removing the Fed Ex charges needed for having the photographs signed, you'll notice the prices are considerably reduced. Yeah! You can see these two sets of photos at either www.LorraineChittock.com or www.WorldWideBeasts.com. Predictably, my plans to immediately go from Panama to Colombia changed. I realized I was getting frazzled and flustered while rushing my journey. I don't have to be anywhere at a certain time, a way of life that's been a long time in the making. The slower pace is good since after a year of the van being used only to get groceries, it wasn't a very comfortable living space anymore. Leaks had appeared and other maintenance needed tending. I struggled to get all my 'stuff' organized which seemed to have multiplied while living in a house. Though that was just an illusion. With a tight living space, I just needed to become more organized, as any traveler will know. After a few days camping in the wilds and replacing old seals with old and doing other repairs, I made my way to Panama City and made my home outside the Balboa Yacht Club. The club sits perched with a grand name but with a less grandiose collection of 10 metal tables and chairs at the Pacific end of the Panama Canal. When I was six months old, and again at four years, I went through this passage on freighters and cruise ships to the Atlantic Ocean. After a 43 year absence, I feel blessed to be back. Night and day, huge cargo boats guided by tugboats pass underneath the Bridge of the Americas to continue to China, Canada and other destinations. It's an exciting place to be. But after four days I tired of the heat, humidity, city living and keeping the dogs on leads. 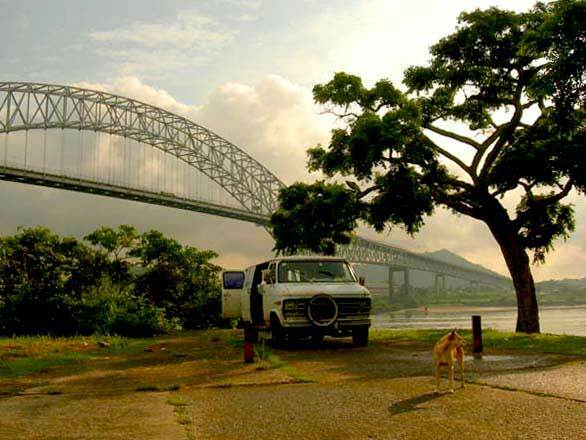 I drove across the bridge and camped at a fishing village called Vera Cruz which gets a cool breeze coming straight off the ocean. Here the dogs can run free with all the other village dogs and chase vultures to their heart's content. If there's a dog tussle, no one shrieks. It's a city crowd near the Yacht Club and designer dogs aren't allowed to snarl or mix with my traditional looking hounds. 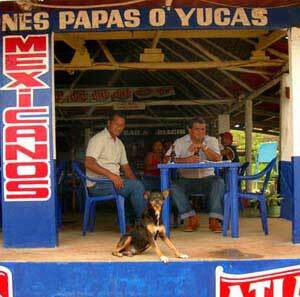 Across in Vera Cruz, it's a more rustic environment. All the dogs have a generic curl to the tail, with long muzzles just as they did 10,000 years ago. These are 'real' dogs, a basic breed from which all dogs originate. All intermix freely without wearing leads. Despite coming from Kenya, mine talk their language too. As a result, it's a more relaxed environment and there's rarely snarling. I've seen this happen repeatedly in our travels and it never ceases to amaze me. Street dogs no problem, European bred dogs, problem. I'd asked some locals if Vera Cruz is busy during the weekend and the response was wide eyes and noddings of the head. I returned here late afternoon on a Sunday, thinking most will have returned to the city. I think they had. That still meant there was police swarming the area, checking licenses and giving tickets. After I'd parked, a loudspeaker announced all cars needed to leave a certain area. I was out walking and by the time I returned to the van the other vehicles were just leaving. Mine was the only one remaining. As I walked up, a policeman almost ran to the back of my van to take down my license plate before I got there, ignoring my calls of greeting. I've had a number of police experiences crossing Central America and almost all have been positive. This was an exception. I'm sure the police hate this weekend duty. Cars cruise up and down the beach all day and night. Panama is a very multi-ethnic society, and it seems those with the loudest speakers are sure everyone else should love their choice of music. If they don't, they feel it's their duty to convert, with the volume higher than I'd ever play my favorite songs. So Latin rap competes with Oriental and American hip-hop. It was miserable. 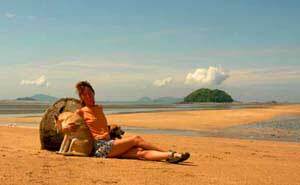 I quickly left and found a quiet spot down a dirt track and returned to a quiet and deserted beach the next morning. I'm alternating camping between these two locations while I search for another person who will share a shipping container for my van. I also need to find either a sailing boat or other vessel which will take both myself and the dogs to Colombia. At ten years old and with some health issues I don't want them to be crated and put on a plane. At this point, the arrangements are slowly coming together, but need to be coordinated so I'm not stranded without a vehicle in either Panama or Colombia. I sense all the pieces will suddenly come together as so often happens in awkward situations. Casualidad is Spanish for serendipity and I continue realizing how important this phenomenon is no matter your location. Thank goodness I didn't continue rushing my journey, as the storm season is just now ending and boats are only now beginning to sail after a five month hiatus. 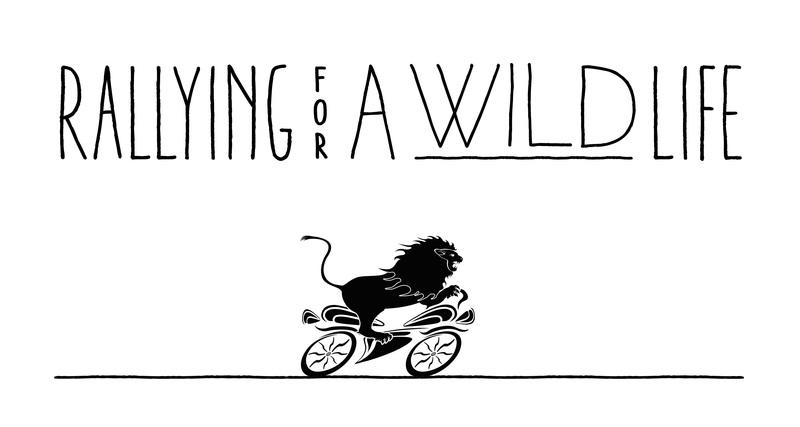 And because of my delay, a friend will be flying here shortly to get a feel for the area as he plans his own trip to South America by motorcycle.